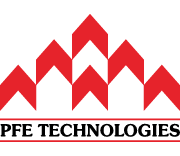 You are here: Home / News / News / PFE Technologies will be at Buildtech Asia 2017! We’re proud to announce that we will be participating once again in BuildTech Asia, an International Building Technology Expo held in Singapore. This annual exhibition is the region’s leading trade show for the building and construction industry. 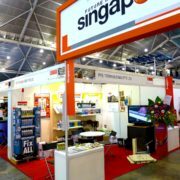 It’s hosted by the Building and Construction Authority (BCA) in Singapore, and it is where the top companies of different fields come together to showcase their many different advanced building and construction technologies. PFE Technologies will be taking up a stand in the Singapore pavilion (of course!) – where we join our other fellow local Singaporean companies at the forefront of construction technology. Other notable exhibitors in the Singapore pavilion are Kobe Construction, Makita Singapore, and of course, our principal Klingspor Singapore, who will be showcasing their diamond cutting wheels. Other interesting exhibitors include Greyform, and we look forward to seeing what HDB‘s got on display! Our favourite portion is always the sundowner lounge, and wondering which brand of cold beverages they will offer this year. 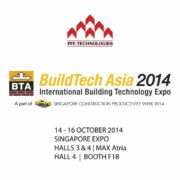 PFE Technologies Pte Ltd will be showcasing our range of advanced construction sealants and adhesives. In particular, we are proud to launch and offer our Pereseal 702 in economical and ecologically-friendly sausage packaging. Also, our range of Soudal Fix All adhesives and sealants are the problem-solvers of the construction industry, offering solutions where other sealants and adhesives keep failing. Lastly, Soudal PU foams continue to offer excellent thermal and acoustic insulation for many construction applications, reducing electrical consumption for cooling and HVAC. Recent events have also gotten the construction industry concerned about fire safety and standards. We are proud to have offered our fire-rated sealant, Pereseal FR, for over nine years – with our products being audited annually and consistently obtaining a Certificate of Conformity from TÜV SÜD PSB year by year. We look forward to seeing you at our stand – do pop by to say hi, or even request for a demonstration of some of our products on display. See you! Update: The exhibition is over! See what went on. For exhibition pre-registration, please click here.